Hazardous roadways can pose a significant danger to motorcycle riders. While riders can wear a helmet, obey the speed limits, drive sober and adhere to the rules of the road, hazardous roadways are unpredictable. When you are driving your car and you feel the thump as your vehicle rolls over a pot hole or uneven pavement, that same surface can cause a motorcyclist to swerve and lose control of his or her bike. The Fort Lauderdale motorcycle accident lawyers at Yeboah Law Group are here to represent those who have been injured in motorcycle crashes that were the result of a hazardous roadway.  Bringing a claim against a government agency is not easy, but we are diligent in our pursuit of compensation when our clients’ injuries were the result of negligent roadway maintenance. Because motorcycles provide no protection for riders, what might appear to be a minor roadway hazard can cause devastating injuries when motorcyclists confront it and lose control of their bikes. How do you establish fault in a single motorcycle crash caused by a road hazard? Often when the motorcycle crash is a one-vehicle accident, the driver is assumed to be at fault. But when the crash occurred because the driver’s front tire struck an unexpected rut in the roadway and caused the rider to flip over and suffer injuries, a local or state government might be to blame for negligence because of negligent maintenance and other operational level actions. 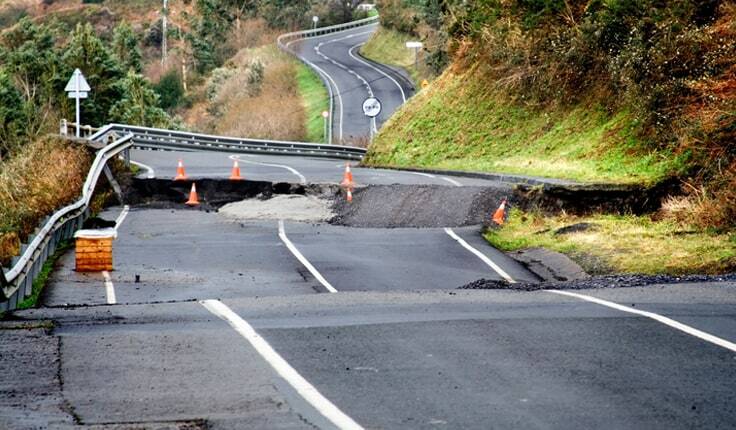 Can I file a claim against a government entity when I have been injured by a roadway defect? In the same way that government agencies require drivers and the vehicles they operate to meet rigorous safety standards before they can drive on public roadways, drivers expect that those roads will be safe to drive on and not represent a hazard. If the road was not properly maintained, appropriate warning signs were missing, oil or other material spilled on the road is not cleared away, or road debris is left after road construction, a motorcyclist who is injured due to these conditions may have an injury claim against the government agency responsible for maintaining that road. Bringing a claim against a government agency is far more complicated than filing a claim against an at-fault driver’s insurance company. An experienced Fort Lauderdale motorcycle accident attorney will represent your interests and they will take on the legal challenge on your behalf. 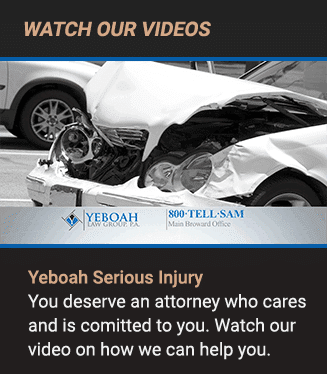 If you are dealing with injuries sustained in a motorcycle accident, the dependable motorcycle accident lawyers at Yeboah Law Group are here to fight for maximum compensation for your injuries and losses. Please contact us at 1-800-TELL-SAM or complete our contact form to schedule a free consultation. We serve clients in Fort Lauderdale and throughout South Florida.